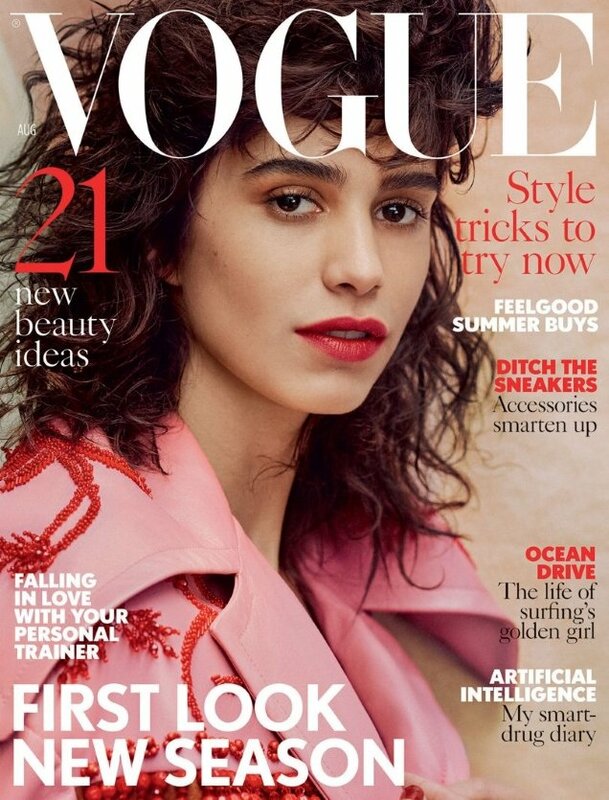 After serving a duo of knockout Vogue Brazil covers last week and a total of eight Vogue cover appearances under her belt, Mica Arganaraz now lands the cover of UK Vogue for the month of August. The British fashion bible has been undeniably good to us lately, giving us the likes of Carolyn Murphy, Amber Valletta and Kate Moss on recent issues. Keeping the model standard up, Mica delights in the stunning portrait cover image lensed by tFS forum favorite Craig McDean. Members of our forums voiced their praise for British Vogue‘s latest. “I was never a big fan or hers, but I must admit she looks lovely here! Very mainstream, in a good way. Easily her best cover to date. I quite like the red and pink accents and angle of the cover,” admired Benn98. “I’m having trouble with the facial expression, but overall it’s a cover that’s better than most of their recent offerings. It feels like an 80s cover. I like it. I actually might buy this. First one in years!” declared MON. “Mica is an unexpected choice but such a lovely surprise. I’m a big fan of hers and she delivered here. The cover is so nice and it reminds me of the 80s too! I want to see models back on every cover,” added apple. But not everyone was so pleased. “She always looks the same to me, at least they could’ve done something different with her hair,” complained KateTheGreatest. “I feel like I’m seeing her eyes for the first time. That said, she still does nothing for me. I know curly hair is under-represented in fashion imagery, but it feels like she’s been appointed world ambassador for that haircut, and as such can never be pictured with anything else,” tigerrouge shared. Are you buying it? Await more from the issue and join the conversation here.